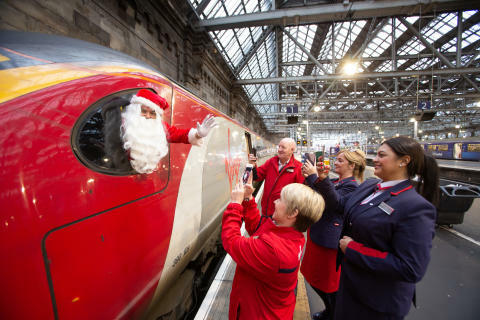 Virgin Trains has increased its weekend services from Macclesfield to Manchester for customers wanting to enjoy the city’s festivities in the run up to Christmas. Every Saturday until Christmas selected departures* from London Euston will call additionally at Macclesfield – an increase of nearly 50%. On a typical Saturday, Virgin Trains operates 14 services from Macclesfield to Manchester Piccadilly, which equates to one train per hour. The additional services will benefit Macclesfield with two services per hour between 11am and 5pm, offering those wanting to experience the Markets or do some Christmas shopping more options on Virgin Trains for their journey to Manchester. Virgin Trains are now fully gearing up for Christmas with the recent launch of their Turkey and Bacon Sandwich and Festive Hummus and Pomegranate salad wrap in the onboard shop, as well as making festive film, It’s A Wonderful Life, available on BEAM – Virgin’s onboard entertainment portal. 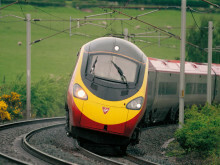 Fares for journeys between Macclesfield and Manchester with Virgin Trains start from £7.60 for an Off-Peak day return.